SAP ERP is Enterprise resource management software designed and developed by German company SAP SE. Are you looking for SAP HR Online Training then you are at right place. 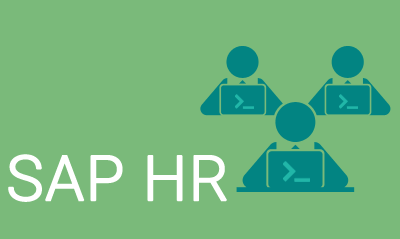 SAP HR is one of the most important modules of SAP ERP. SAP HR manages important organizational functions like hiring an employee to its final termination in organisation. It consists various sub-elements like Personnel Management, Time Management, Organisational Management (OM) and Payrolls. To pick up an edge, you have to help hierarchical development and representative engagement with a solitary, brought together with a framework for global management of local & overseas employees there is a need of SAP HR. The point of the Human Resources segment is to empower organizations to process worker related information as indicated by business necessities in a compelling structure. We at Pragna Technologies provide the best SAP HR Online Training in India. Students will get the technical knowledge from our exceptionally knowledgeable trainers that are certified to teach SAP HR. We also provide SAP HR/HCM coaching support to cater the specific needs of the beginners and advanced professionals. With more than ten years experienced and knowledge on SAP HR/HCM and we will provide you real-time training on live projects. 3) Comprehend, assess, and measure your workforce’s commitments to all that matter.